Call us biased, providing lighter environments is at the core of our business, but ensuring that we have enough daylight in our homes makes good financial sense. A good source of natural light benefits our house’s appearance and value, not to mention it reducing energy costs. But surely the most significant benefit is our health? An abundance of bright light makes us feel more alert and gives us a greater sense of overall wellbeing. And, importantly, won’t cost us our health. It’s well documented that natural light influences the body’s circadian rhythm; that is, our built-in body clocks. It dictates the sleep-wake cycle and the release of the feel good hormone serotonin, the brain’s natural mood stabiliser. Serotonin is a mood-booster and a natural antidepressant. Without replenishing this hormone, we are making ourselves susceptible to Seasonal Affective Disorder or SAD. This might sound overdramatic but according to research commissioned by The Weather Channel and YouGov, 29 per cent of adults experience symptoms SAD during winter. Incredibly, that’s 1 in 3 of us. Symptoms range from low energy levels, to low self-esteem and anxiety. For 8 percent of people the symptoms are acute, while the remaining percentage suffer a milder form of Subsyndromal SAD. We’re very fortunate here in the UK to have the amount of daylight hours we have. Not so elsewhere. Take Norway, for example, who have just under 5 hours daylight in January. This distinct lack of light have driven many to distraction. One ingenious solution to counteract the gloom has been to install solar-powered, computer-controlled giant mirrors that track the sun in Rjukan, Norway; as detailed in this article published by The Guardian. That has to beat SAD light boxes or Dawn Simulators here in the UK hands down. So how does a rooflights supplier help? Vision AGI is the leading supplier for rooflights in the UK, and naturally, our expertise is in maximising light transmission. We have a diverse collection of high specification rooflights that encompass fixed skylights, opening and access hatch roof windows, pyramids, lanterns, walk on rooflights / floorlights and bespoke rooflights. Our client’s needs are key so we pride ourselves on creating bespoke and innovative solutions that both inspire and uplift. Hand in hand with the aesthetics, our rooflights are fully tested to the CWCT guidelines for air permeability, water tightness and wind resistance. The U-values are as low as 0.5W/m2 K to suit low energy advocates. Rest assured, we are committed to make rooflights that work on all levels, and above all, add value. Which Skylights / Rooflight to choose? 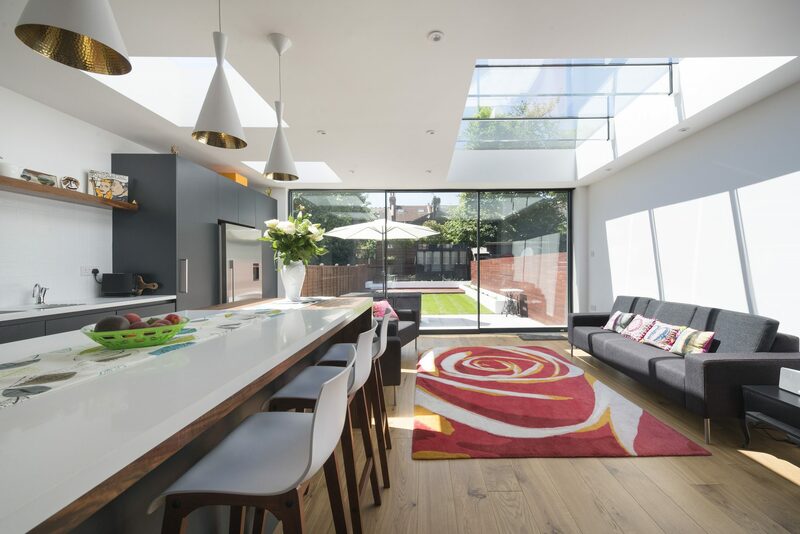 Summerlee Avenue showcases stunning contemporary fixed skylights and bespoke multi-panel with glass beams. 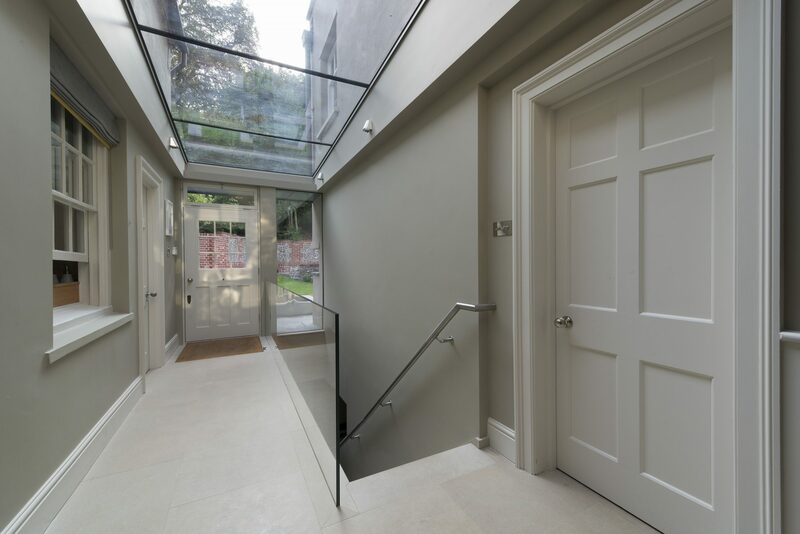 Old Rectory deftly demonstrates durable walk on rooflights, unsupported multipanel skylights and internal structural glazing that allows daylight to stream into areas that would otherwise be devoid of light. 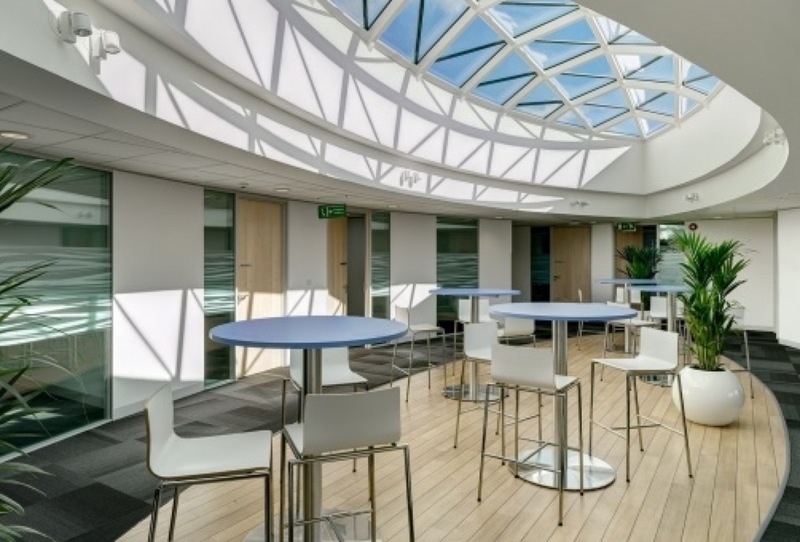 Boehringer Ingelheim is a real statement piece with a bespoke skylight engineered into a breathtaking teardrop shaped Gridshell, maximising natural light and in-turn, productivity in this busy work environment. We’d be happy to help. Please contact us.